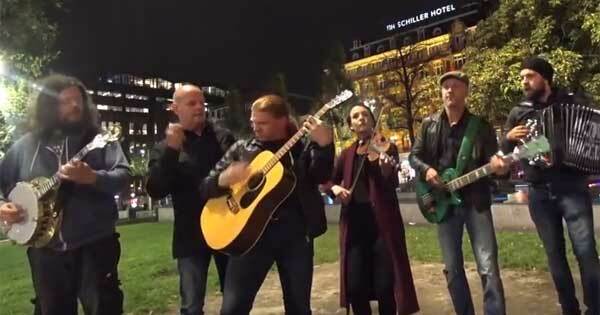 An Irish folk band have paid tribute to rock legends Queen of the Stone Age by performing one of their most famous hits in a traditional Irish style. Acting the Maggot are a Dutch group who perform traditional Irish folk songs. They heard that American rock stars Queen of the Stone Age were coming to Amsterdam so decided to mark the occasion with their own unique rendition of No One Knows.